Thanks to the generous support of the City of West Hollywood through its Arts and Cultural Affairs Commission, the Los Angeles Women’s Theatre Festival is co-presenting a full afternoon and evening of free theater events on Saturday, April 30, 2016. Most of the shows will be staged at The Actor’s Company in West Hollywood. All information available below. Encore! A Day of Theatre features performances of a sample of established audience favorites of the Los Angeles Women’s Theatre Festival. Events include four live performances and a writing workshop. 12 Noon: Identity as an Act of Courage: A Writing & Storytelling Workshop. Whether you’re a native or a transplant, this two-hour workshop will explore the concept of home and its impact on identity, as well as the courage it takes to be you. Conducted by Terrie Silverman at Plummer Park, 7377 Santa Monica Blvd., West Hollywood, CA 90069. 3 pm. : What’s Wrong With a Mouse? Vicki Dello Joio. Coming from Oakland, Vicki chronicles her journey of healing a rift with her father during his last days. He had disowned her for being queer 20 years earlier. At The Actor’s Company, 916 N. Formosa Ave., West Hollywood, CA 90046. 4 p.m: ChocolateMatch.com Juliette Jeffers. This storytelling piece chronicles a woman’s self-conscious journey into the uncharted world of online dating. At The Actor’s Company. 5 pm: Oh, Yes She Did! Sandy Brown. A theatrical journey that breathes life into notable historical African American women who brought change to America. At The Actor’s Company. 7 pm: Oh, But Wait, There’s More. Kim Coles (Living Single, In Living Color). Directed by Scotch Ellis Loring. This zany and, at times, irreverent solo show chronicles the ebb and flow of Kim’s show biz career with titillating inside Hollywood anecdotes and personal stories from her world. At The Actor’s Company. 8:30pm: Reception directly following the last show. All events are free but seating is limited, so please reserve your seats by April 23 by contacting the Los Angeles Women’s Theatre Festival at (818) 760-0408 or by going online here. FREE to the public. Reservations can be made here. For more info on WeHo Arts programming, please visit their official site. 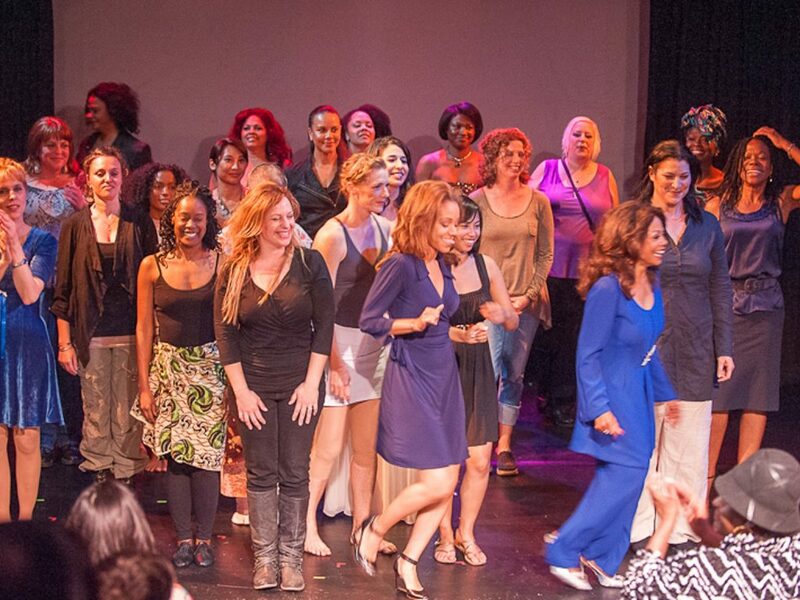 The Los Angeles Women’s Theatre Festival (LAWTF) marks 23 years of producing over 500 extraordinary multicultural and multidisciplinary solo performers from around the globe. The longest-running Annual Solo Festival for women in Los Angeles, LAWTF will return March 24-27, 2016 to the Electric Lodge, located at 1416 Electric Ave., Venice, California 90219.